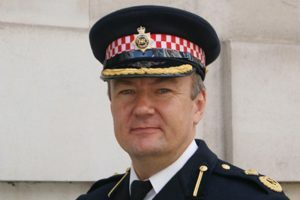 The new Commissioner of the City of London Police Ian Dyson has given an interview to the London Evening Standard. Nothing groundbreaking here – but on closer examination it may provide evidence that at long last the true impact of Fraud and associated criminality has on UK PLC is being acknowledged and bought out into the open. He discloses that over 50 per cent of all fraud reports are based in foreign countries and therefore untouchable by law enforcement? This type of sentiment is either realistic or ultra defensive arse covering depending on your perspective. The remainder of the article focuses firstly on providing examples of high value headline grabbing investigations and revealing how the forming of new partnerships and recruitment of “tech savvy” staff to replace “PC Plod” (I’m sure my ex-colleagues are thrilled with that description) will lead the charge in a brave new world. Hmmm for someone like myself who analyses what people say and how people they say it this quote is quite significant. The first thing that comes to my mind was the American showman and businessman PT Barnum. The Barnum effect, also known as the Forer effect, is a theory that proposes that we will attribute high levels of accuracy to information if it appears specific but is actually extremely generic. A prime example is horoscopes and fortune telling. This quote seems to be adopting such an approach by first acknowledging that Fraud is massive ,global and of interest to the police BUT don’t expect anyone to be arrested for every (any?) crime. The cynic in me views this as a couched admission that Joe Public should not expect the “low level” fraud – that in terms of the high profile cases stated here are insignificant but to them is life changing – to be investigated because it is too difficult. Again I say this is either brutal honesty or arse covering that is down to you (The readers) perception. ” law enforcement was fighting back with the launch of the Home Office-funded Joint Fraud Task Force and an alliance between his force and the Manhattan District Attorney’s office”. No mention of the SFO then? Whilst this is a rather cynical and personal evaluation I do acknowledge that this may be a new broom sweeping clean and do wish all the best to COLP, Mr Dyson and all those involved and hope that my words are rammed back down my throat, nothing would make me happier. Bob Pointer is the founder and head of professional development programmes at the Centre for Investigative Learning.